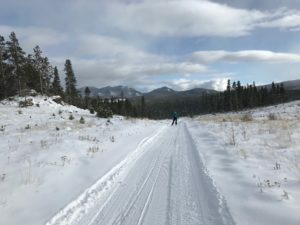 At long last, a multi-agency collaboration has come together to provide groomed Nordic trails on West Mag. 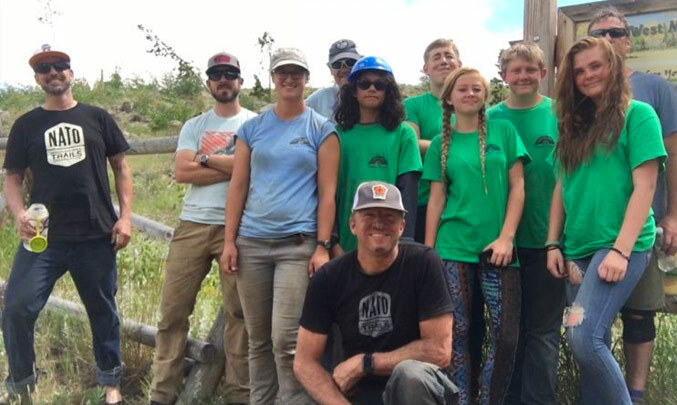 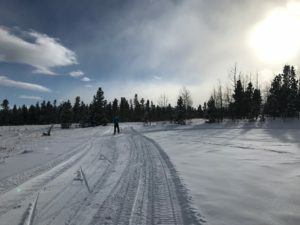 NATO worked with the Boulder Nordic Club and the U.S. Forest Service (Boulder Ranger District) and other local agencies to plan and deliver groomed nordic ski and fat bike trails on the west end of Haul Road in the West Magnolia trail system. 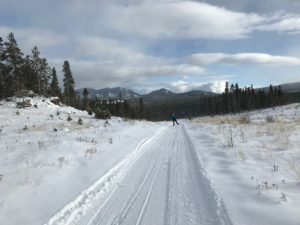 This pilot project was slated to kick off the winter of 2017-2018 but dry conditions prevented grooming that season. With recent storms blanketing the area with more predictable snow cover, the BNC moved one of their grooming systems to the area to provide skate skiing and fat bike access. 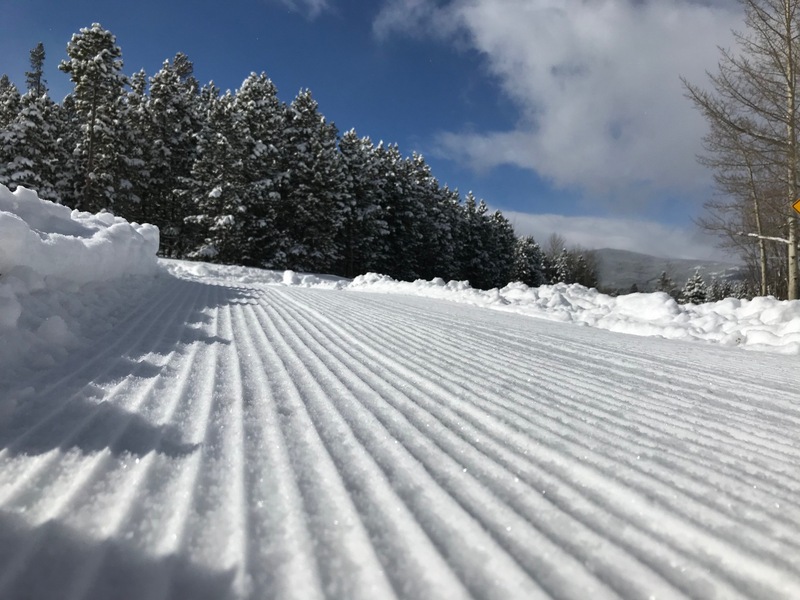 When snow depth increases, a classic track may be added to provide additional opportunities for classic skiers to better use the new system. 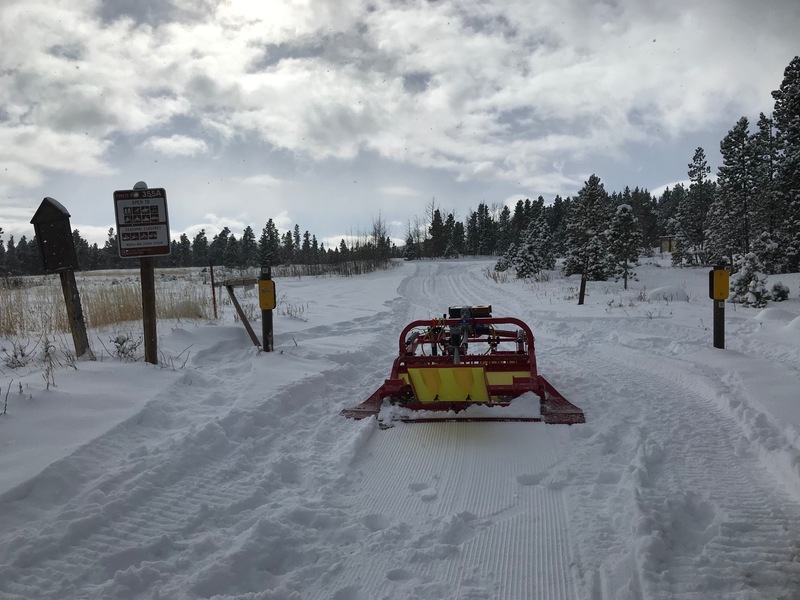 Trails were last groomed on January 22nd and are in fair condition. 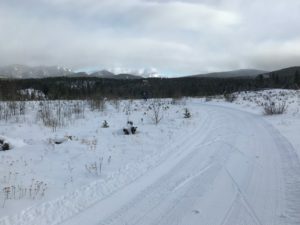 Rock skis are recommended as the coverage is variable. Here is a link to a map of the area which includes seasonal grooming: West Magnolia Trail Map. 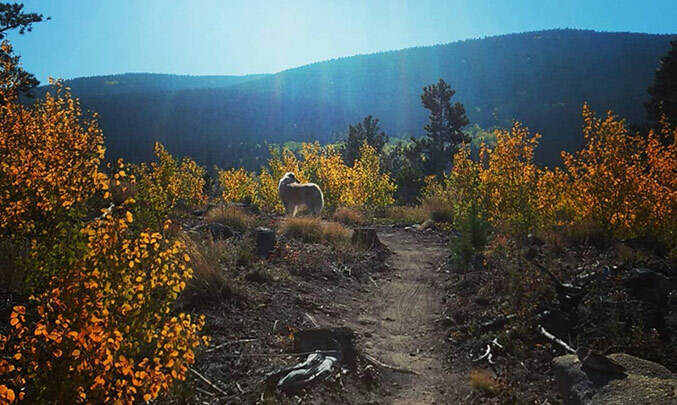 Please be thoughtful to other trail users, pick up trash and dog waste, and enjoy the winter addition to West Mag’s greatness!